The Pentagon’s estimated cost to develop and purchase Lockheed Martin Corp.’s F-35 jet, the costliest U.S. weapons program, has stabilized for now, according to a new report to Congress. That’s good news for the F-35, which has wide support in Congress but a past marred by cost overruns. Last year, the annual acquisition report on major weapons estimated that costs would rise about 7 percent to $406.5 billion after several years of declining projections. I'll give more details as they are released. in March and the F-35C in May. 4.3 and 4.4 to provide respectively the additional software and hardware capabilities set out in the Block 4 requirements document approved by the Joint Requirements Oversight Council of the Joint Chiefs of Staff in 2017...."
WTF is this bs about "deficiencies"? SpudmanWP wrote: WTF is this bs about "deficiencies"? Software always has bugs and deficiencies. Show stoppers delay the release, other important ones are fixed in later builds, less important ones are sometimes never fixed. That is absolute B fing S.
While I am sure that there is a ton of "fixes" that will be deployed in any block, 4.1 and 4.2 are NOT dedicated to fixing deficiencies. A big one is newer APIs "provide new opportunities for International Partners to assess, integrate, and field unique capabilities based on global sovereign requirements." The U.S. Air Force may have to cut its purchases of Lockheed Martin Corp.’s F-35 by a third if it can’t find ways to reduce operations and support costs by as much as 38 percent over a decade, according to an internal analysis. 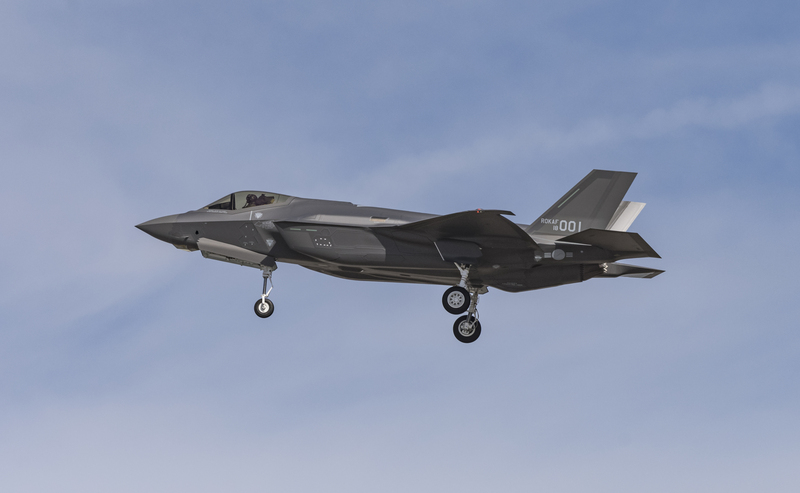 The shortfall would force the service to subtract 590 of the fighter jets from the 1,763 it plans to order, the Air Force office charged with evaluating the F-35’s impact on operations and budgets, in an assessment obtained by Bloomberg News. While the Defense Department has said it has gained control over costs for developing and producing a fleet of 2,456 F-35s for the Air Force, Navy and Marine Corps -- now projected at $406 billion -- the internal analysis underscores the current and looming challenges of maintaining and operating the warplanes. "Deficiency" is a formally defined reference used in developmental flight test to identify issues worthy of a fix or change. Generally speaking, 'deficiencies' are catgorized by degree or severity and consequence; they are not all the same. Some might be as simple as changing the color or the apparent thickness of a line on a display; some affect safety of flight and become "fix before fly again" kind of things. In a world where the average joe or judy tend to reference technical matters in relation to their cars or smart phones, the idea that anything is flying around or accepted with 'deficiencies' is an affront to their fundamental sensibilities. It makes some people crazy -- "...why would anyone pay this much money for anything with 'deficiencies' or 'defects'?" The reality is that some deficiencies are never corrected and jets fly around with those deficiencies for the life of the program; all of em...take your pick -- F-15,16,18, SH, et al. I'll see if I can find a reference. "A DR should also be submitted when failure is not suspected, but an investigation is needed. DRs should be submitted on all test programs, even if no corrective action is anticipated. Such documentation provides valuable program history and research data to support present and future program development and acquisition management decisions." Comes across as a shocker claim designed to spark contention for agenda traction. "A few nuggets such as $50K flight hour cost (Lt.Gen Harris USAF) stood out for me"
Search CPFH around here (I think spud posted them in recent months) and you'll find that, like 'unit cost', CPFH can vary greatly depending on which stuff you choose to include in the number -- e.g. a large number of fixed costs early in a program when flight hour generation is less. The USG changes what they include or not include in their projections all the time -- without saying too much about doing so. Just look in the changes outlined in the back of any Selected Acquisition Report. How many people read the SAR? If one wants to beat up the contractor in the public domain about affordability, just suggest numbers like 50K/hr. It is not unlike the concurrency monster from 2011ish; no one seems to remember that the first analysis used by the USG to rationalize certain program decisions was ~35% off on its per-unit cost. The whole tone seems af odds with this, same day. “We’ll see more money going into research and engineering about future protections for the country,” Mattis said. He mentioned investments made decades ago, such as GPS satellites and stealth, two technologies that officials say have given the U.S. military a leg up on its adversaries. Cutting the number of F-35 by a third does not sound like "nothing" to me? Or is this potential cut just something that originates from the journalist's imagination? I thought Bloomberg was a quite reliable source?